Independiente del Valle and Emelec continued their winning runs in the Ecuadorian Primera A on Wednesday. 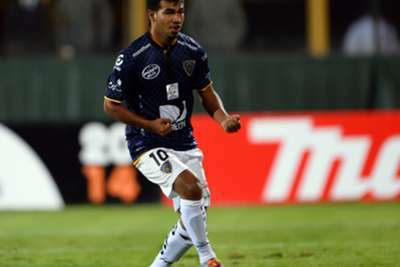 Pablo Repetto’s unbeaten Independiente del Valle sit second and claimed a 3-1 victory at home to LDU Quito. Daniel Angulo and Junior Sornoza set up their team’s fourth straight league win with goals in the opening quarter of an hour in Sangolqui. They are four points adrift of league leaders Barcelona, who have played two games more. Jonathan Ramis had given LDU Quito hope of a comeback with his 75th-minute goal but Christian Nunez sealed the win for the hosts late on. At Universidad Catolica, Miller Bolanos’ hat-trick inspired Emelec to a convincing 5-2 win. After three straight league wins, Emelec sit in third – while Universidad Catolica are struggling after just two victories in their opening 10 outings. Emelec went ahead in the 14th minute through Pedro Quinonez, who side-footed an effort into the bottom corner from just outside the area. Bolanos made it 2-0 with a penalty soon after but Henry Patta responded for the hosts with a fine finish. Just before half-time, Bolanos restored Emelec’s two-goal lead after Catolica failed to clear their lines. Angel Mena put Emelec 4-1 up in the 70th minute before Patta and Bolanos traded late goals, the former’s effort a 25-yard stunner.